Customizing a door is a matter of seven basic choices. 1. Choose a door design. 2. 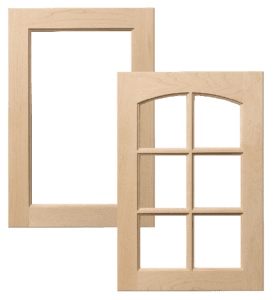 Choose a framing bead. 3. Choose a panel type. 4. Choose a wood species. 5. Choose a lip/edge profile. 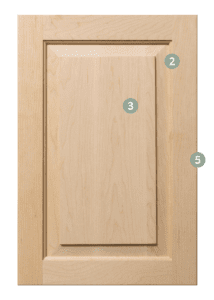 Nearly all Keystone doors are available as multi-lite or frame-only doors. For most designs, the mullion profile matches the framing bead. Some exceptions apply. For more designs, visit our Multi-Lite page. Don’t see what you want? No problem. Keystone specializes in one-of-a-kind custom designs. Visit our Custom Requests page for more information.